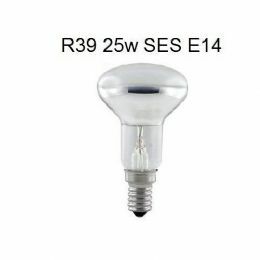 2 x Lava Lamp Reflector 25W SES E14 R39 Spotlight Screw in Light Bulb Bulbs - Great for replacing Lava Lamp bulbs and spotlights. These bulbs are being phased out by the EU slowly so they will become harder and harder to find. Most Lava Lamps are supplied with 25w bulbs at the moment.